Keerthana is a registered psychologist with a doctorate in Clinical Psychology from University College London, U.K. Throughout her career in the NHS UK, Keerthana has worked with people across the lifespan from adolescents to older age, and has worked with people from diverse cultural backgrounds. While Keerthana has provided both individual and group treatment for adolescents and adults facing many different issues, her area of interest and clinical experience lie in depression, anxiety, psychosis, bipolar disorder and personality/interpersonal difficulties. Keerthana worked in specialist services in London for adults with personality disorder, and in a service for adolescents with complex needs. She recently migrated to Melbourne and since being here her clinical work has been in the area of post-natal depression and transition to parenthood. Keerthana draws upon evidenced based theory and treatment, including Cognitive Behavioural Therapy, Acceptance and Commitment Therapy, Compassion Focused Therapy, Schema Therapy, and psychodynamic theory. Paramount to her clinical work however is that she is always guided by the client’s unique needs, strengths and goals for therapy. 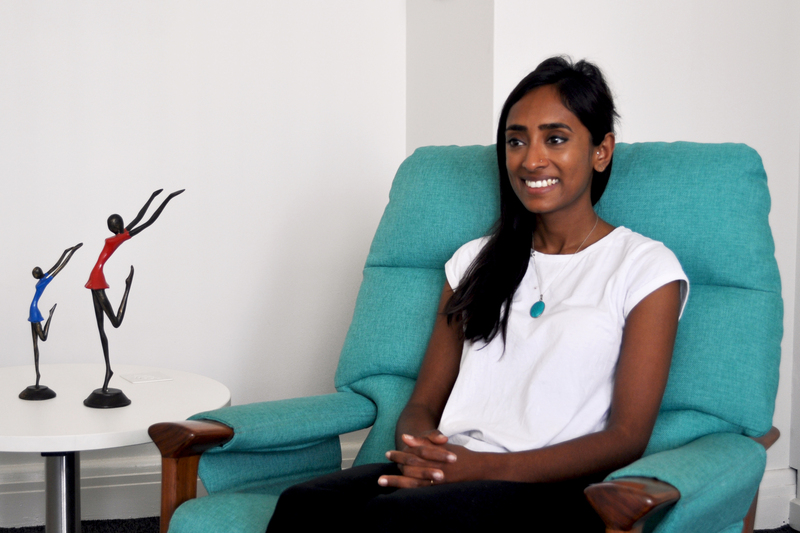 Keerthana’s approach is compassionate and engaging, and she ensures a safe space is established in therapy for exploring psychological distress and facilitating personal growth.